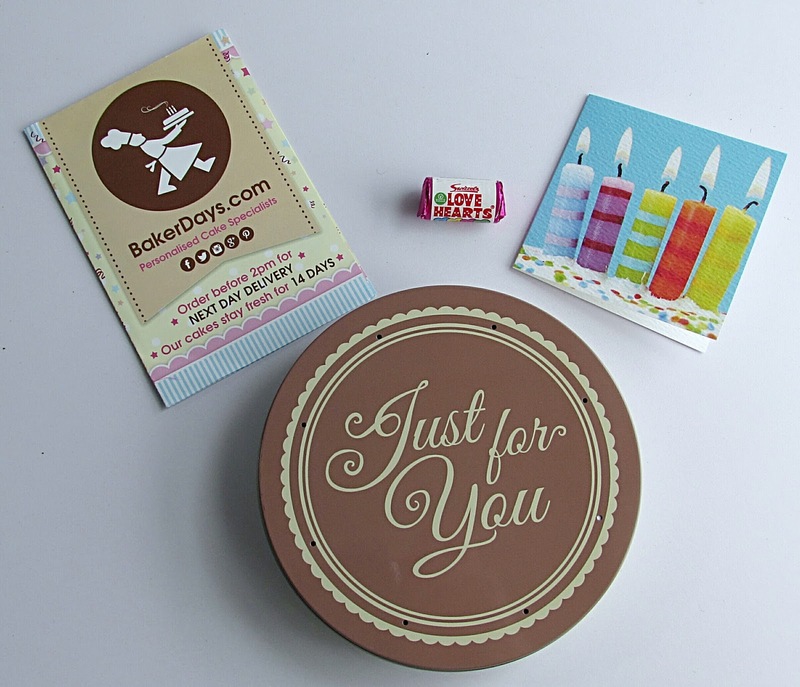 This letterbox cake measures 5 inches in diameter and comes in it's own tin which fits perfectly through the letterbox. No need to wait in for a parcel to be delivered or going to the post office to pick it up because of a missed delivery. Perfect! With this size you get 3 to 4 portions and you can choose from 6 different flavours, vanilla, chocolate chip, fruit, gluten free and dairy free. So Baker Days cater for everyone. 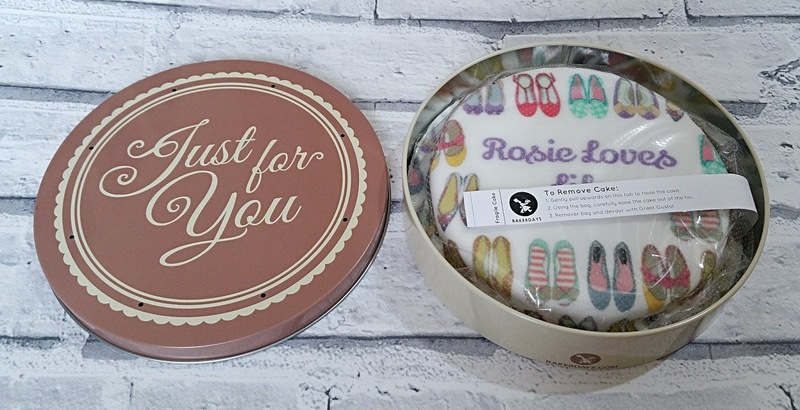 Baker Days also have 3 other size cakes to choose from, small 7", medium 9" and large 12" or even 12 cupcakes, and with the larger cakes you can choose from a range of cute little extras including balloons, banners, bubbles and candles to add that extra special touch. My cake arrived with a mini pack of love heart sweets and a card telling me to enjoy my cake. I'd chosen the vanilla filling and I found the sponge moist with a light fluffy texture. The cake was absolutely delicious! 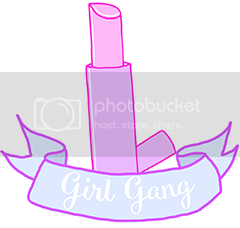 For the design I was spoilt for choice but I decided on this one as I thought it fits perfectly with my obsession with shoes! 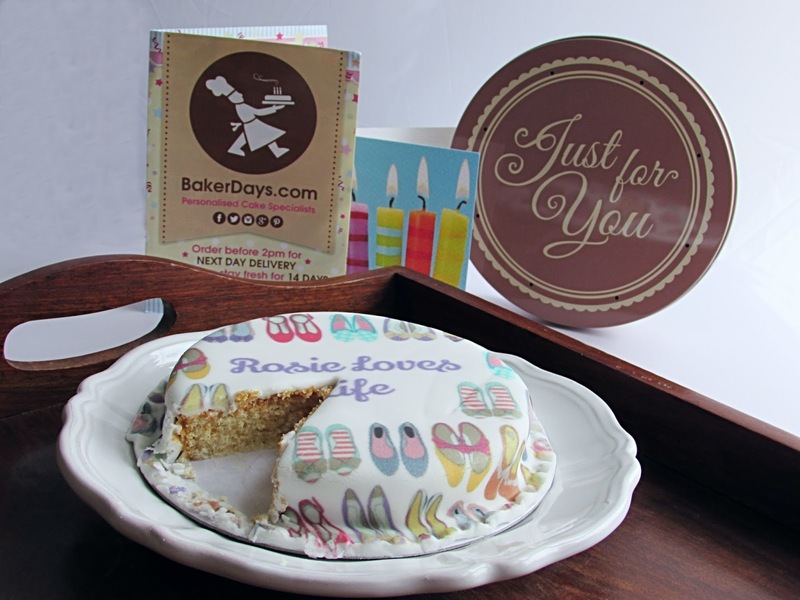 I was really impressed with the actual print on the cake, how the cake was delivered and the little extra special details that Baker Days have thought of to make it a lovely package for anyone to receive in the post. 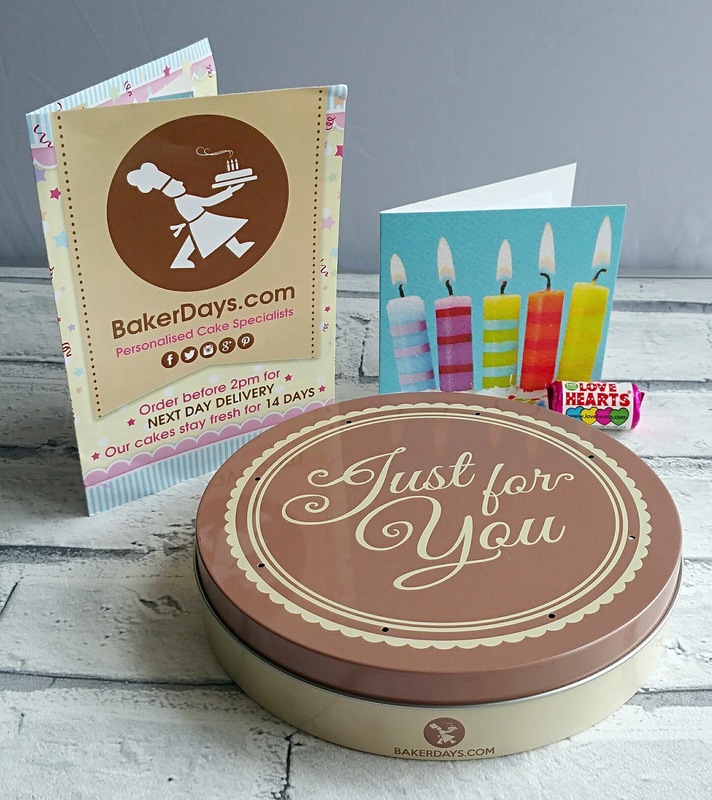 Baker Days are changing the way we send greetings to loved ones through the post and what a tasty gift to receive straight through the letterbox. I can think of a few friends of mine who would absolutely love to receive one of these cakes on their special day! 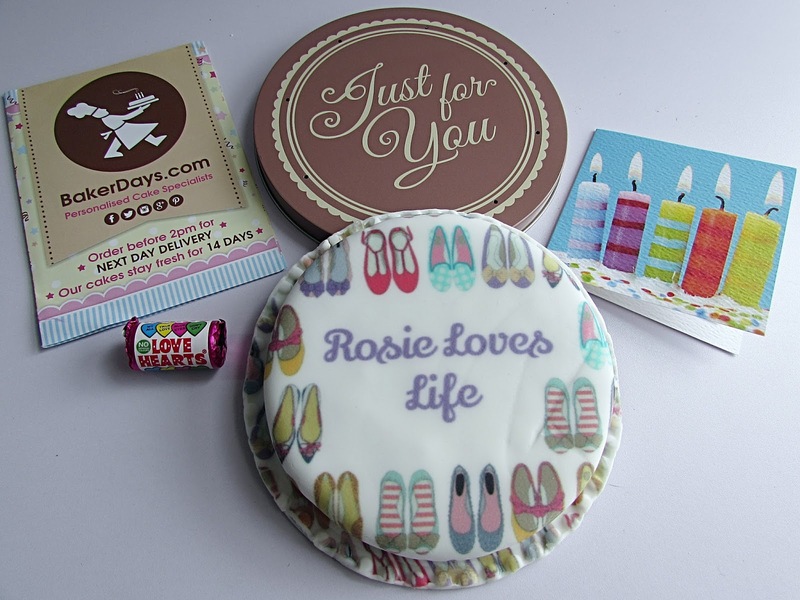 The price of the 5" Letterbox cake is £14.99 and delivery is included in the price. 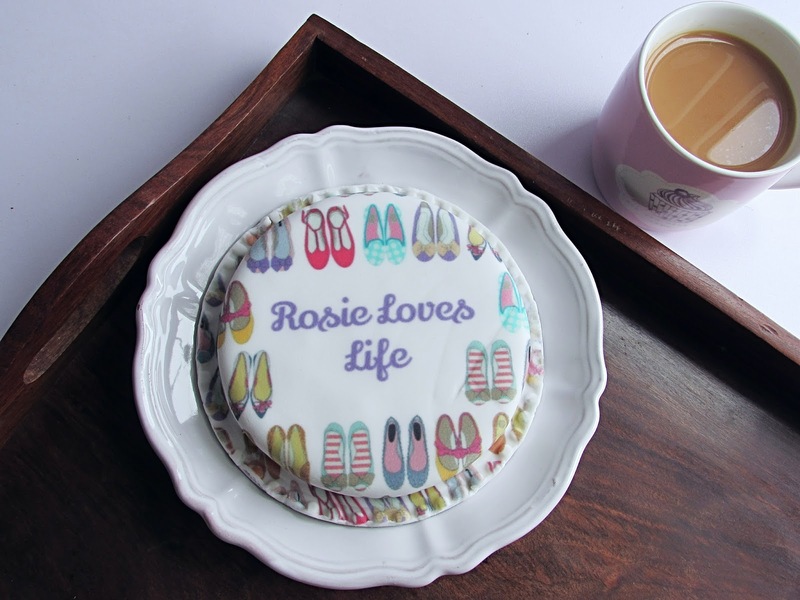 The Baker Days website offers a huge range of designs for you to choose from and you can add your own special message for that personal touch. If you order before 2pm you get next day delivery. My cake arrived with the normal post the following morning, well packaged and undamaged. All I had to do was open it and tuck in! Are you a cake lover? 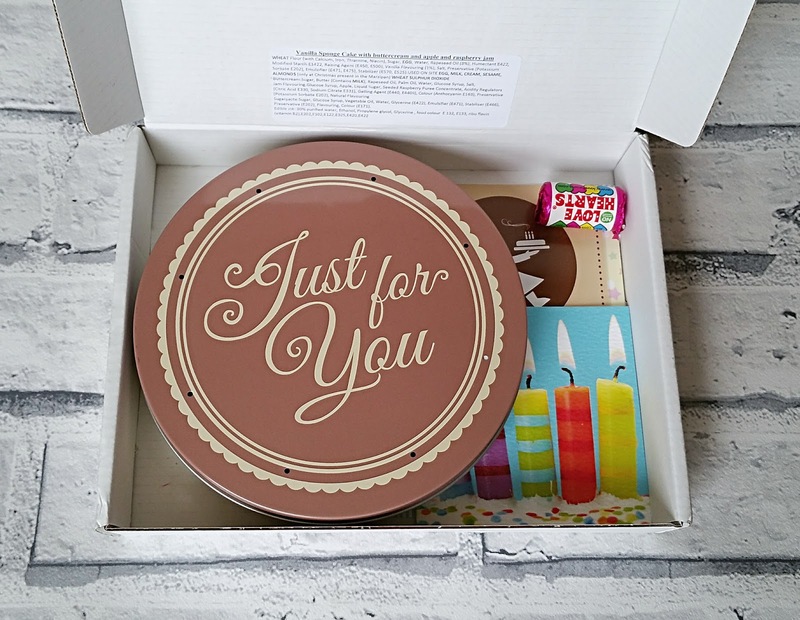 Would you love to recieve a cake through your letterbox?